a while back while checking out images of concept revolvers online I found one for a video game called SINGULARITY. 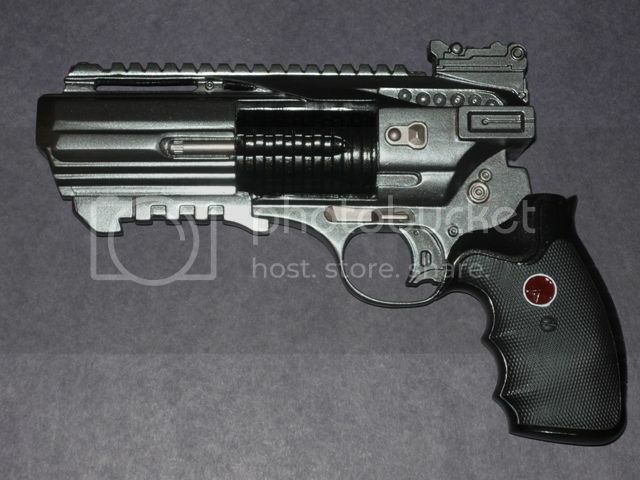 it was a concept of a Russian revolver that was to be used in the game. I loved it...it looked so 'blade runner'-ish to me. after contacting the owner of the design and getting his permission I handed the project over to wondersquid on the RPF.